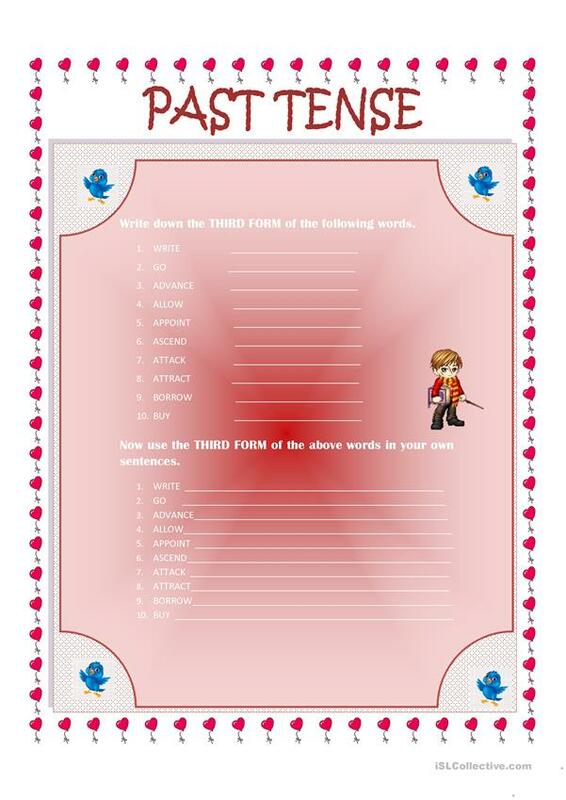 THIS IS A SIMPLE WORKSHEET FOR THE STUDENTS TO WRITE DOWN THE THIRD FORM OF THE VERB AND THEN USE IT IN THEIR OWN SENTENCES. This downloadable printable is meant for high school students and elementary school students at Elementary (A1), Pre-intermediate (A2) and Intermediate (B1) level. It is great for teaching Past simple tense in English, and is useful for enhancing your groups' Spelling, Speaking and Writing skills.